International retail majors Metro and Carrefour will compete in the cash-and-carry space in the eastern part of the capital, just a few kilometres from each other. While French retailer Carrefour had set up its first cash-and-carry centre at Seelampur in east Delhi in December 2010, German chain Metro will launch its 10th Indian outlet in Karkardooma on Tuesday. This is the first time international retail chains will compete in a metro city in the cash-and-carry or wholesale segment. So far, Jalandhar and Ludhiana (both in Punjab) are the only cities where more than one cash-and-carry player operates. Both Metro and American chain Walmart, in a joint venture with the Bharti group, have cash-and-carry stores in Ludhiana and Jalandhar. Explaining the reason behind Metro opening a centre so close to Carrefour's, Purnendu Kumar, associate vice-president, Technopak (a retail consulting firm), said, "The location is important as it is near the wholesale business hub." According to Kumar, with two international majors being present at the location, it will transform into a cash-and-carry destination. 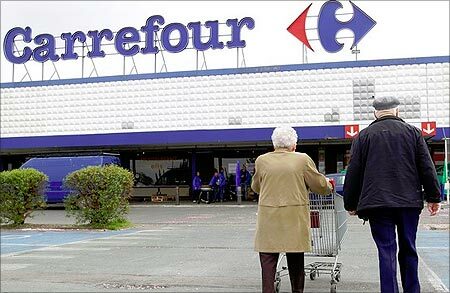 "Footfalls are already there because of Carrefour being present. Now, more people would be attracted to organised wholesale," he added. The proximity would not result in cannibalisation of business, Kumar argued. While Walmart has launched 17 stores across India since its entry in 2009, Metro has 10 (counting the Delhi outlet to be launched tomorrow) since its first centre came up in 2003. Carrefour, the last entrant in 2010, has two outlets. Walmart has stores in Amravati, Bathinda, Aurangabad, Guntur, Jammu, Lucknow, Agra, Meerut, Vijaywada, Indore, Raipur, Ludhiana, Bhopal, Kota, Jalandhar, Zirakpur and Amritsar. Sources say the company plans to open outlets in cities such as Anand and Nashik as well, and will move to capital cities and metros later. The American chain wants to have another 10-12 stores this year, and perhaps 20 more in the next two. Carrefour is present in Delhi and Jaipur and is learnt to have chalked out lease plans for another 10 stores. Besides Delhi, Metro outlets are located in Bengaluru (two), Hyderabad (two), Mumbai (two) and one each in Kolkata, Ludhiana and Jalandhar. Speaking to Business Standard recently on the expansion spree of international chains, Anshuman Magazine, CMD (South Asia), CB Richard Ellis (a global real estate consulting firm), said India would see a significant increase in large-format shopping spaces in the next few years. According to Metro Cash & Carry India Managing Director Rajeev Bakshi, the investment per store would be around Rs 60-70 crore (Rs 600-700 million). 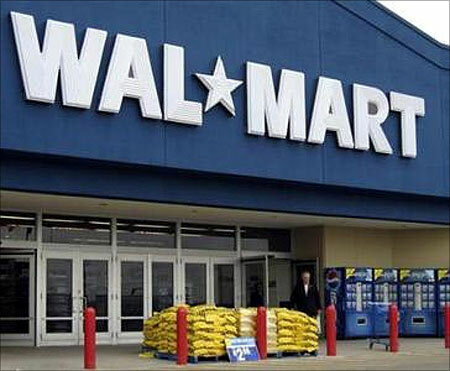 Walmart India president and Bharti Walmart managing director Raj Jain had recently told this newspaper India was just about starting on the retail modernisation process. "If you look at some other emerging markets like China, the Philippines, Indonesia, Brazil, or Mexico, you will find these are ahead of India by anything between five and 20 years. India has a lot of catching up to do," he had said. Walmart gets around $1 billion in revenues from its India operations, approximately one per cent of Walmart's international revenue pegged at $100 billion. 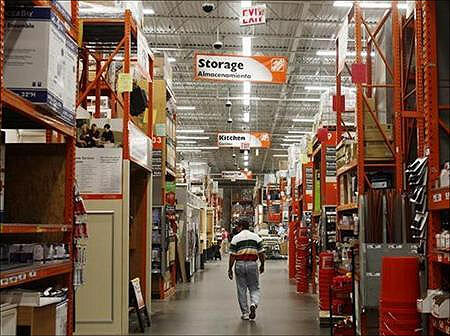 The American chain's group annual revenue is much higher, at $405 billion. Carrefour, the second largest retailer of the world with revenues topping 90 billion euros ($119 billion), recently said it would pursue its growth ambitions in key emerging markets. 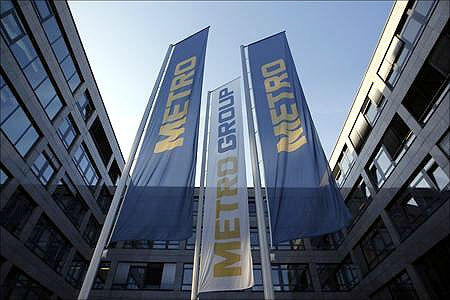 Analysts say Metro is looking at getting at least five per cent of its global revenue from India operations by 2015. 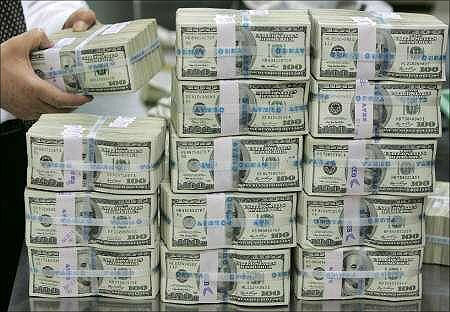 At present, the India operation generates about one per cent of the total group revenue, according to estimates. The global revenue of Metro is estimated at 67 billion euros ($88 billion). 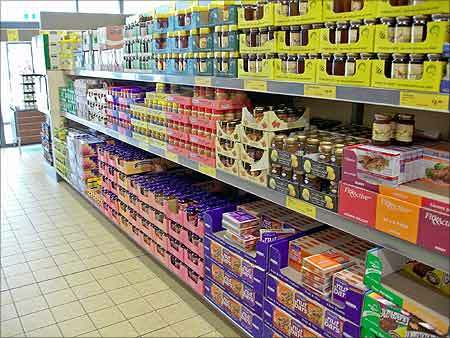 Many of the global retail chains set up cash-and-carry business in India as multi-brand front-end retailing is not allowed. Metro, however, has no multi-brand retail ambitions in India, and wants to stick to cash-and-carry. Cash-and-carry represents an opportunity worth $140 billion (Rs 7 lakh crore) of the $500-billion (Rs 25-lakh-crore) annual retail business in India. 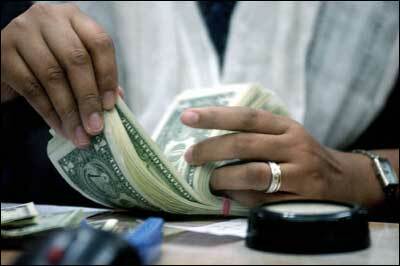 The format refers to goods sold at wholesale outlets or warehouses. Its customers are retailers, professional users, caterers, institutional buyers and other businesses, who need special licences to buy from these outlets. 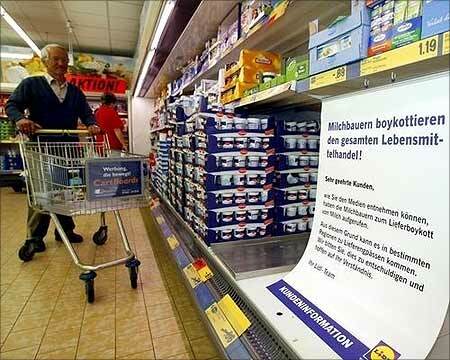 There's no restriction on foreign direct investment in the cash-and-carry format.